It’s time for a new challenge over at AAA Cards and this fortnight we have a very straightforward challenge!! We’d like you to use just one image only (if you want to add a sentiment, that is fine too). The optional twist is ‘spring’ and our sponsor is Craftyscrappers. I was placing an order with The Ton recently and I was aghast to realise that I had never used the gorgeous cherry blossom stamp set that I bought from them a couple of years ago. So, as soon as I saw the optional twist, I knew I had to use it! I stamped and coloured the image using my Twinkling H2O paints and added a sentiment from Simon Says Stamp to finish off my card. My teammates have created some beautiful designs over at AAA Cards and this fortnight our guest designer is Aleksa who has a beautiful Instagram feed. It’s time for a new challenge over at AAA Cards and this fortnight we have something new for you! We’d like you to choose a sentiment and three items only from our AAA Cards Wheel of Fortune! Perhaps we should call that our ‘Wheel of CAS Creativity’! Anyway, we have an optional twist of ‘friends’ and our sponsor is Pink & Main. I must confess I found it pretty challenging to select items from three separate segments as I was worried my CAS card would quickly become rather cluttered. Once I had chosen my sentiment (by Altenew), I selected quite a large image (Scrapbook Girls stamp by Denami Design) so I knew that the best way of achieving a CAS card would be to choose the colouring pens/pencils option plus something that wouldn’t compete with my large detailed image – so I chose the small embellishments. Three tiny sequins! Can you see them?! While I really struggled with this card to begin with, I LOVE how this Wheel of CAS Creativity stretched me to think differently about supplies. Ordinarily I would never have coloured this image with my pencils, but I had to because ‘paints’ weren’t an option and so my beloved Twinkling H2Os had to stay in the cupboard! It certainly wasn’t the quickest card that I have ever made but I ended up feeling quite pleased… or maybe relieved… that my card was still CAS! 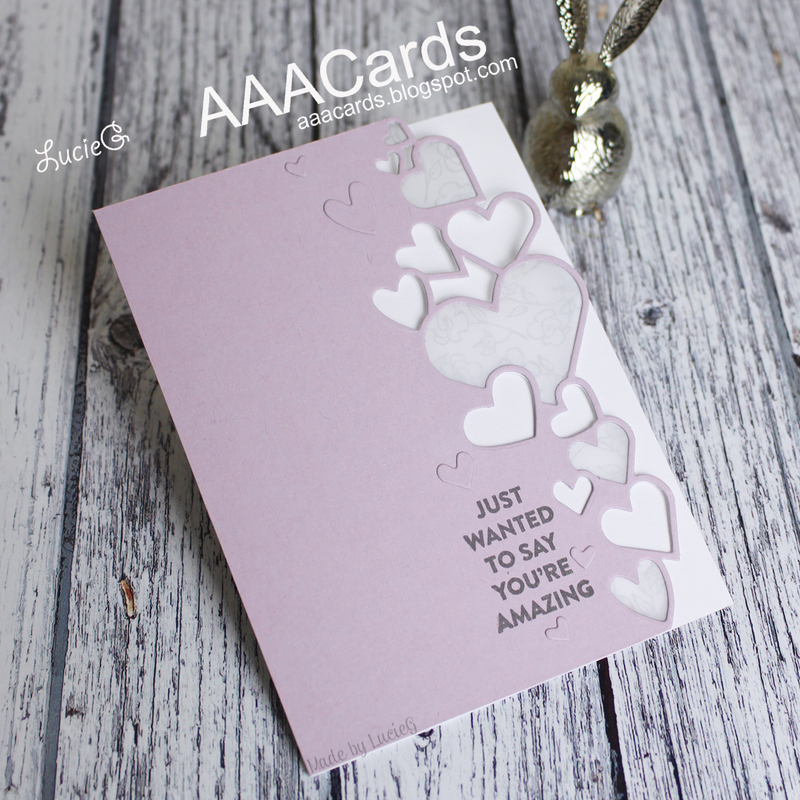 My teammates have created some beautiful designs over at AAA Cards and this fortnight our guest designer is Janet who has some wonderful cards on her blog, Swanlady Impressions – you must check it out!